Our unparalleled matching technology understands the needs of healthcare facilities and nursing professionals at a hyper-local level to improve care by automatically optimizing and augmenting staff. We give nurses and CNAs the freedom and flexibility to pick up shifts right from our mobile app. Understanding the unique needs of facilities and nurses in every local market powers IntelyCare’s ability to deliver industry-leading fill rates. When you need nurses or CNAs, we’ll find the right people, even on short notice. Unparalleled matching technology powered by artificial intelligence considers dozens of data elements and more than 600,000 observations to present nurses with the shifts they’re most likely to accept. Your online reporting dashboard gives you the insights you need for audits and regular reporting. See up-to-the-minute data on past and future shifts & even create a custom PBJ report. Tired of going back and forth via phone and email, anxiously waiting for hours on end, only to find that your shift remains unfilled? It’s time to simplify the process of scheduling high quality nurses & CNAs. IntelyCare enables healthcare facilities to optimize their existing nursing staff and augment it when needed. 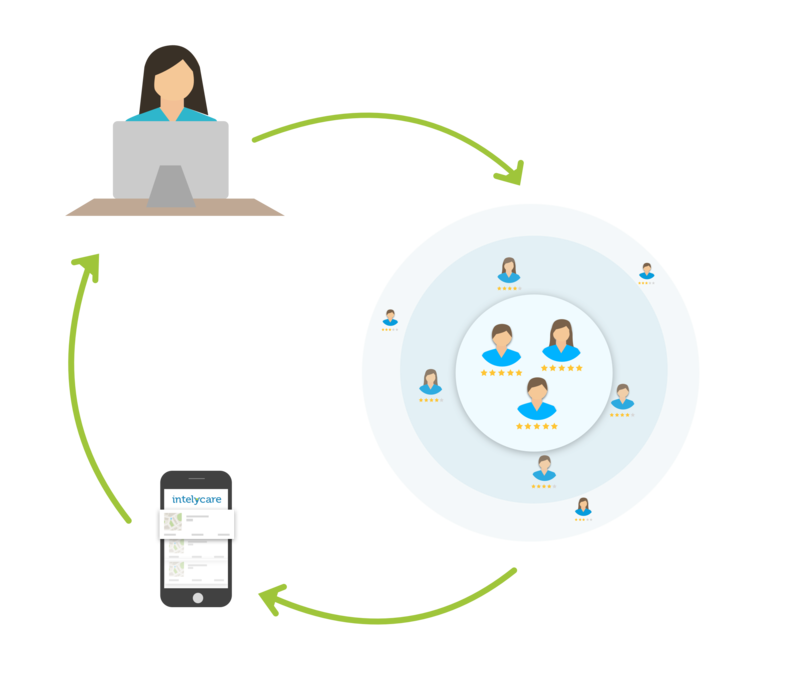 Our intelligent matching and pricing engine provides a seamless solution to staffing challenges with minimal manual involvement. Shifts can be filled in as little as 12 hours in advance, and predictive analytics help forecast potential openings weeks in advance, making it easier to immediately fill shifts once they’re officially posted. Are you a nurse or CNA looking to make some extra money? IntelyCare’s mobile app allows you to browse through hundreds of shifts in your area, tailored to your needs, preferences and abilities, and select the shifts you want to work. Only work when and where you want and get paid on a weekly basis. Pick up shifts with ease using IntelyCare’s mobile app. Nurses and CNAs with IntelyCare can browse available shifts and rates right from their device. Using the mobile app, you’ll be able to search facilities near you, or filter shifts that pay the highest rates. And you can choose when and where you want to work! Welcome to the future of nursing. IntelyCare understands how hard you work. We work just as hard to make your life easier. 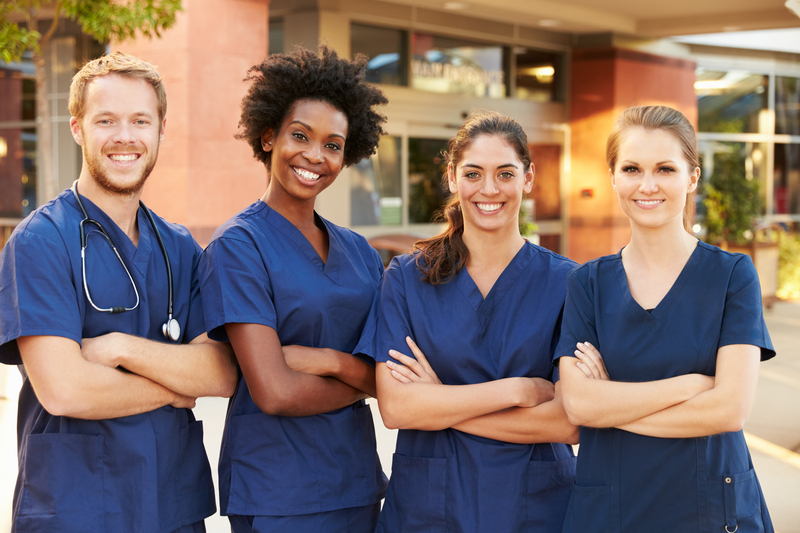 Before one of our highly skilled nurses or CNAs arrive at your facility, you’ll be able to view their credentials, including work history, health documents, and certifications. Their profile includes a picture so you know who’s showing up at your facility. No Call – No Shows, NO MORE. IntelyCare has a zero tolerance policy for this kind of behavior. Providers who fail to show up for a shift they’ve accepted without calling are terminated immediately. Is it time for that state audit? Are you in need of an easier way of pulling information? We thought so. In a matter of minutes, you can download and print a full PBJ or Provider Report directly from your console. As an IntelyCare customer, you will be assigned a personal client service representative. Your friendly contact will be able to assist you with any question that may arise. And if you ever need help with IntelyCare’s service, we’re here for you. Give us a call anytime and we’ll help you out immediately! At IntelyCare, we know technology improves efficiency. We provide each facility with IntelyCare tablets at each nursing station to streamline the check-in/check-out process and provide staffing visibility. IntelyCare dynamically prices the wages that nurses earn based on the ease or difficulty of filling a shift. We consider more than 600,000 data elements (past behavior, time or day of shift, medical specialties/certifications, geography, pay rates and facility familiarity) to offer nurses the shifts they’re most likely to accept. It's so simple, you won't believe it. Scheduling a shift for a RN, LPN, or CNA has never been easier. With the click of a button, you can request any shift, for any date. 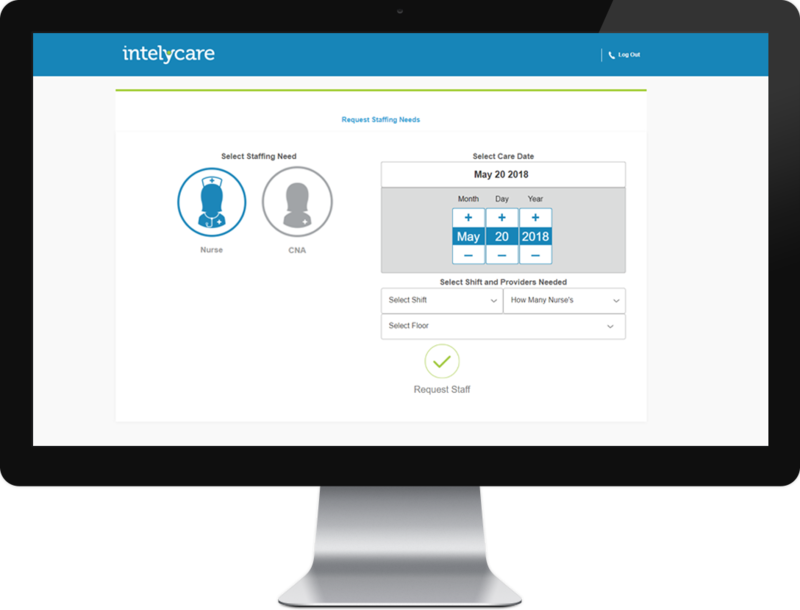 Simply log into your IntelyCare custom portal and let us know what you need. Your request will instantly be matched with our large network of nursing providers, and sent to the ones that best fit your needs. Then, just sit back, relax and watch how fast our high quality nurses and CNA’s pick up your shifts. Do you want less headaches and more time? IntelyCare's platform is 100% free. No exclusivity or commitment necessary. Log in to your personalized portal and submit a request for the shift you need filled. Simply click a few buttons, and you're done. After submitting your nurse or CNA request, you'll be notified when a nurse or CNA has picked up you shift. Last minute cancellation? No problem. Seriously. Give us 4 hours and we'll do everything we can to get you a replacement.